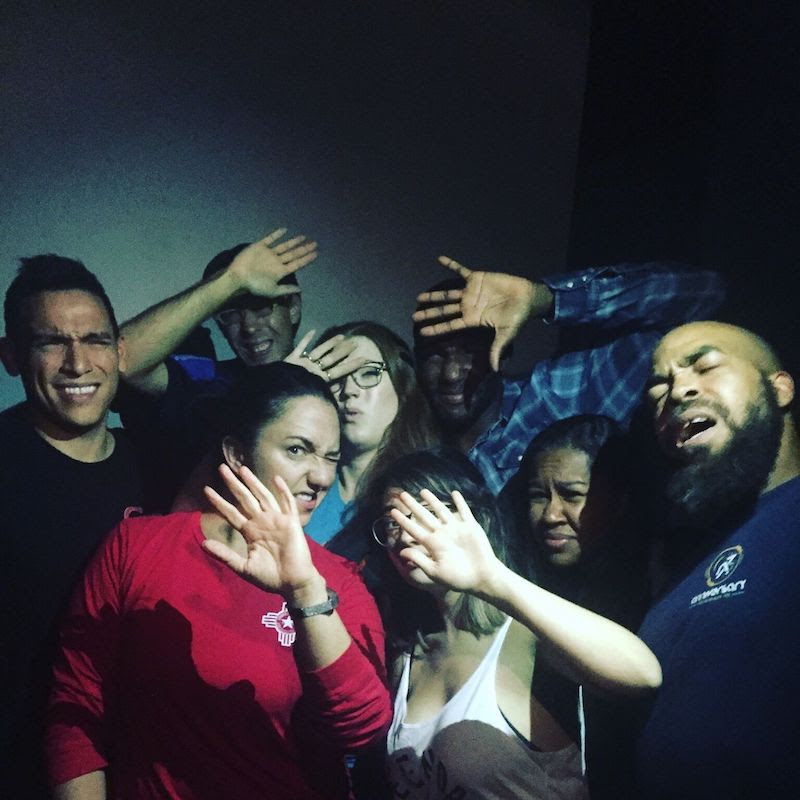 An evening at the theatre unlike any other, audiences of Too Much Light Makes The Baby Go Blind (30 Plays in 60 Minutes) by Greg Allen will be treated to a kinetic and unconventional series of stories, touching on the universality of human experience. At times interactive and always thought-provoking, no two performances will be the same. Box office and house open 30 minutes before curtain. Parking is available in the garage/structure South of the TLab on 2nd Street (we can validate, but ONLY for 2 HOURS of parking time). 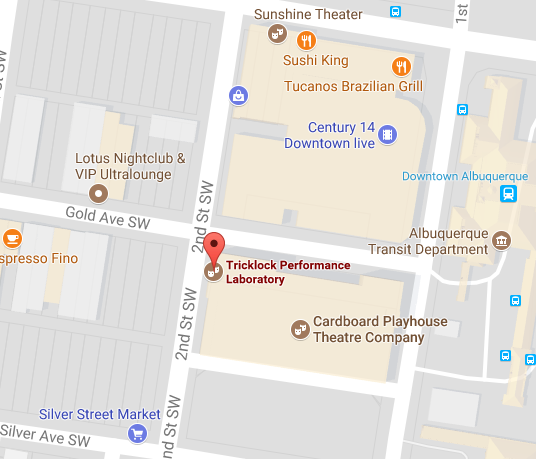 There is free street meter parking on Gold and 2nd after 6pm and on Sundays and $2 pay parking lots located West of 2nd Street on Gold Avenue.